In the dust-caked town of Bankass in central Mali, Amadou Guindo waits to register for aid. Amadou Guindo, a displaced Dogon farmer now living in a village near Bankass town. These international forces as well as the Malian army have been accused of stoking local conflicts, abuses against civilians, and failing to contain the violence. Islamist groups have reassembled in Mali’s desert north, expanded into the centre, and the violence has spilled over into neighbouring Niger and Burkina Faso. One of the most striking symbols of the current humanitarian crisis in Mali can be found in the capital, Bamako. 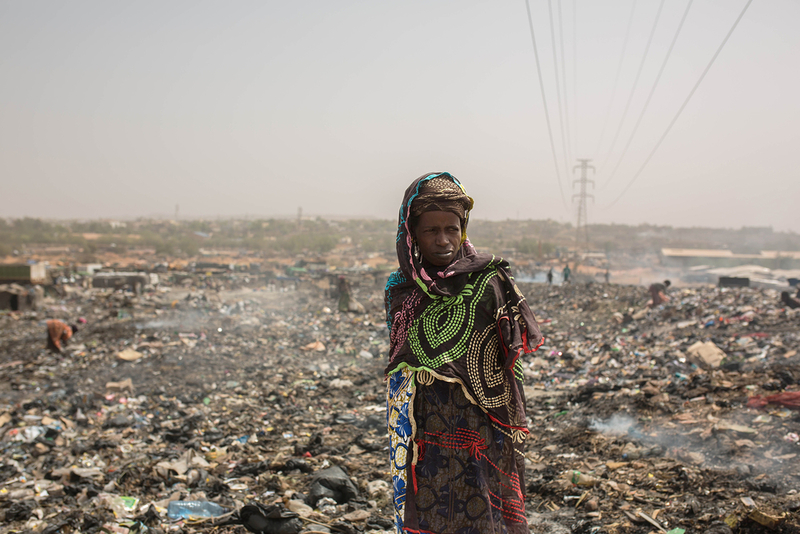 Hundreds of Fulani herders who have been displaced by recent inter-communal violence in Mali’s central Mopti region have fled here, and are now living on a toxic rubbish dump next to a crowded livestock market. The residents complain of sickness and hunger. They say four children have died of sickness in the past few months. Their flimsy tents – covered with bits of plastic and cardboard scavenged from the piles of rubbish that surround them – are unlikely to survive the coming rains. 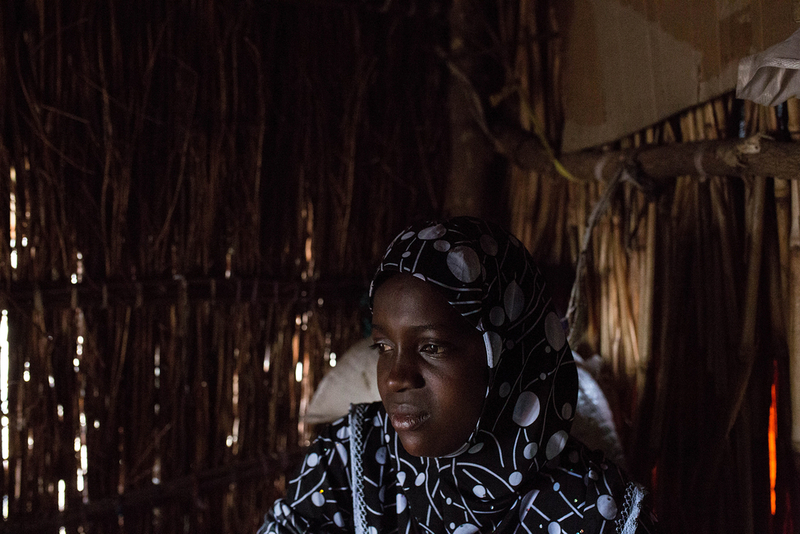 Salimatha Diallo fled her village after an attack by an armed group left her husband dead. 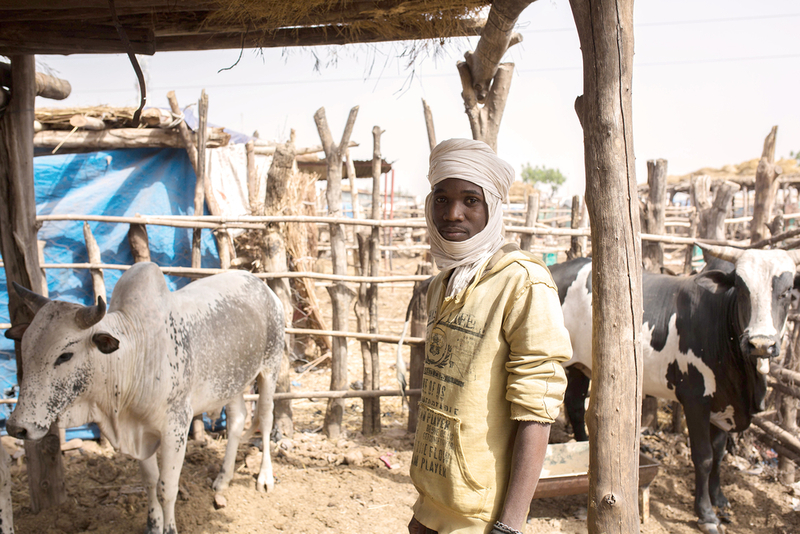 A herder who works at a livestock market next to the camp tends to his cattle. Djeneba Diallo sits inside a flimsy tent where five other members of her family are currently living.